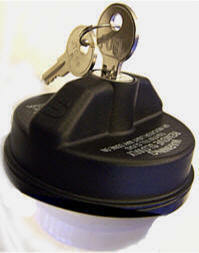 High Quality Wheel Locks (available for most models) and exclusive MOPAR key codes helps ensure maximum protection. Available in one- and two-piece styles, for both steel and aluminum wheels. 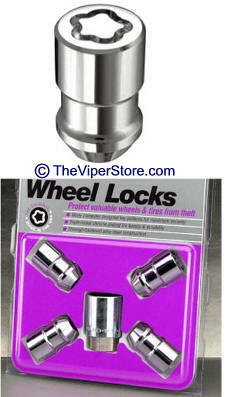 Each Wheel Lock kit includes four or five chrome-plated locking nuts, and one exclusive Mopar key. 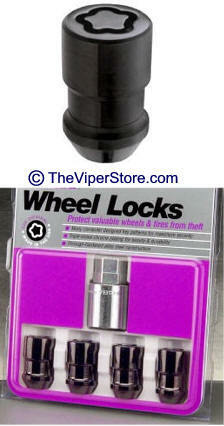 Wheel Lock kits help protect against wheel and tire theft without effecting wheel balance.